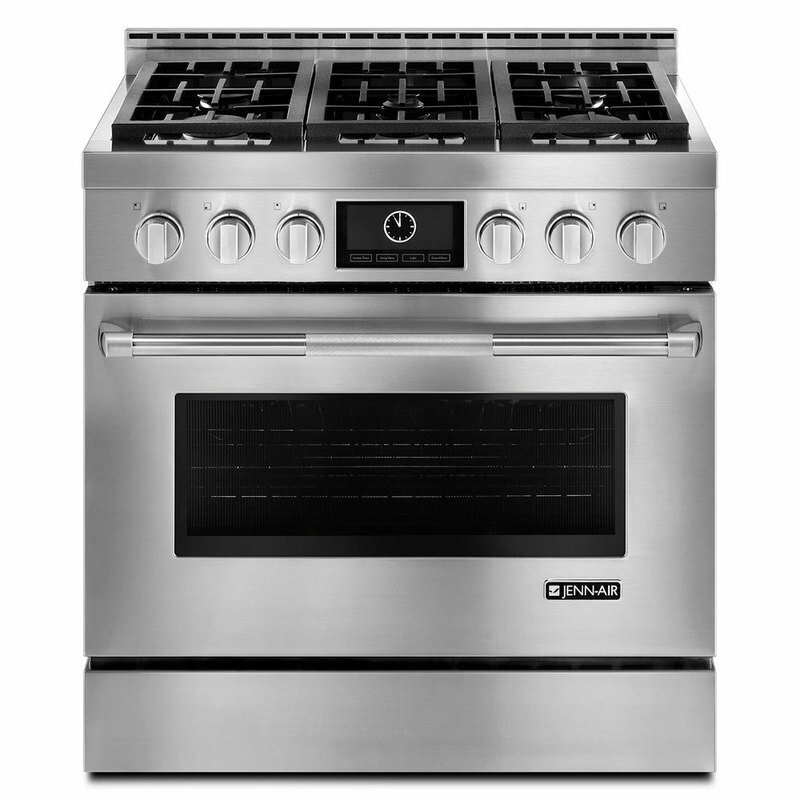 This commercial-style Jenn-Air Pro-Style gas range offers power and precision. Its six burners include a 20,000 BTU stacked burner for high-heat cooking and a simmer burner for more delicate cooking. And six different convection cooking modes like bake, roast and broil distribute heat evenly and thoroughly, for beautifully consistent results. Dual-Fan MultiMode True Convection System features a 1,200-watt oval heating element and two round fans that distribute heat evenly and thoroughly throughout the oven. Six different convection cooking modes, including bake, roast and broil, all deliver superbly consistent results. Superb ventilation allows for closed-door broiling, which ensures consistent cooking. Variable temperature control provides precise heat tailored to different foods and preferences. My Creations control panel combines up to three modes, selecting the time and temperature for each mode. Settings can be saved for later use or deleted when no longer needed. Dimensions: D27 1/8" x H36 3/4" x W35 7/8"